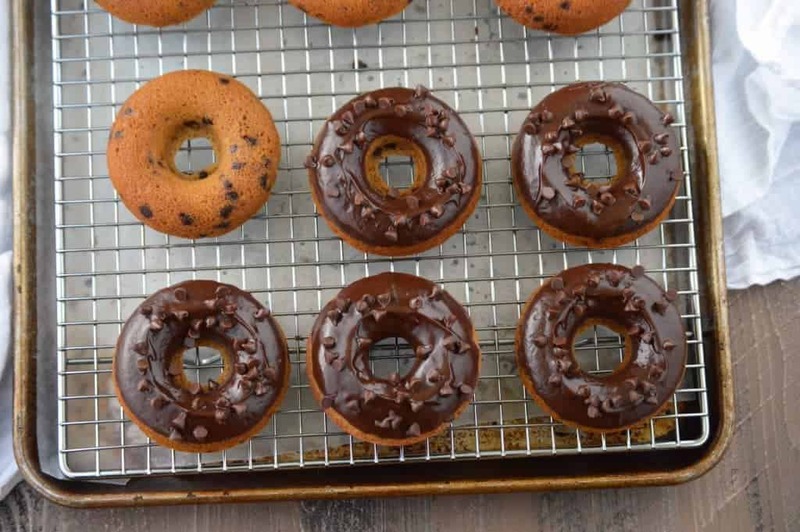 These gluten free Chocolate Chip Donuts are a great way to start your weekend. They’re full of chocolate flavor without being too sweet. 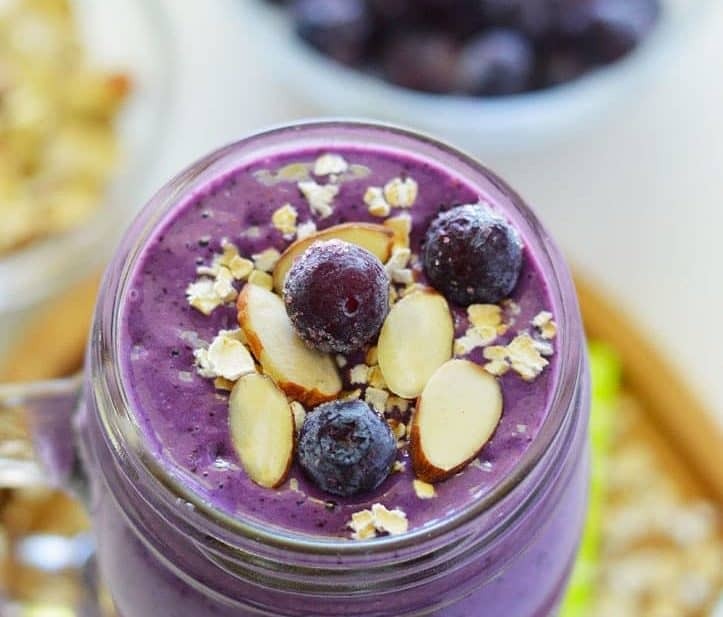 You can easily make these dairy free and use coconut oil and natural sweeteners to make them healthier without sacrificing flavor. I’ve been working on this gluten free chocolate chip donut recipe for a while. The first time I made them, I pretty much nailed the recipe. However, in true Sharon fashion, I didn’t write down all of the ingredients because I figured I ‘d jot it down when I had the chance that afternoon. That afternoon was a month ago (and then some) and here I am, finally with the chance to jot down what I did. Um, yeah. Can’t quite remember. So back to the drawing board, right? Don’t you just hate that? I finally get a chance to do something a month after I mean to do it. Either I’m terrible with time management or my two toddlers are running me ragged. It’s probably a bit of both, actually. So, to make amends, I made more gluten free donuts. And there ain’t nothin’ wrong with that. That’s actually a pretty wonderful way to solve a problem. Just bake some donuts. That should be a new mantra: Just Bake Some Donuts. I actually ended up making this chocolate chip donut recipe a couple different ways. One way is the current recipe with oil and sugar. The other was made with coconut oil and honey. 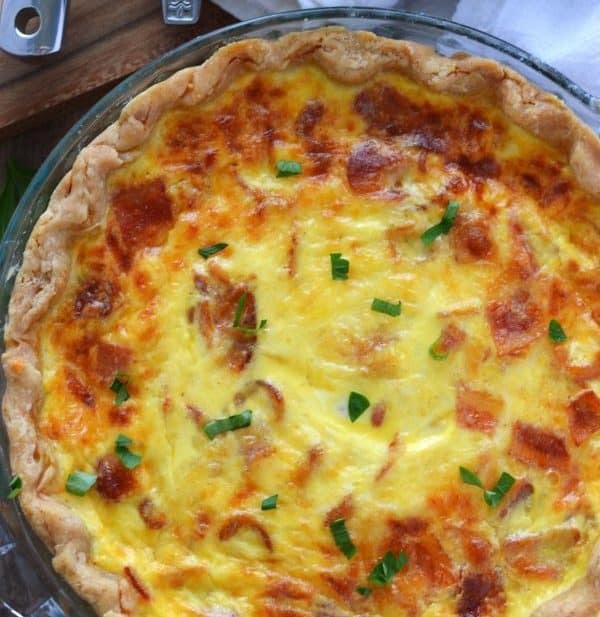 Both recipes use my white rice all-purpose gluten free flour blend. For the coconut oil/honey version, I used and equal amount of coconut oil in place of the canola oil which I melted after I measured it. I also used an equal amount of honey in place of the sugar. I would probably use a bit less honey for my taste next time I make the healthier version but my husband and kids really liked it that way a lot. I also used coconut oil in the chocolate glaze in place of butter. Otherwise, the glaze is the same chocolate glaze I used in my double chocolate donut recipe. 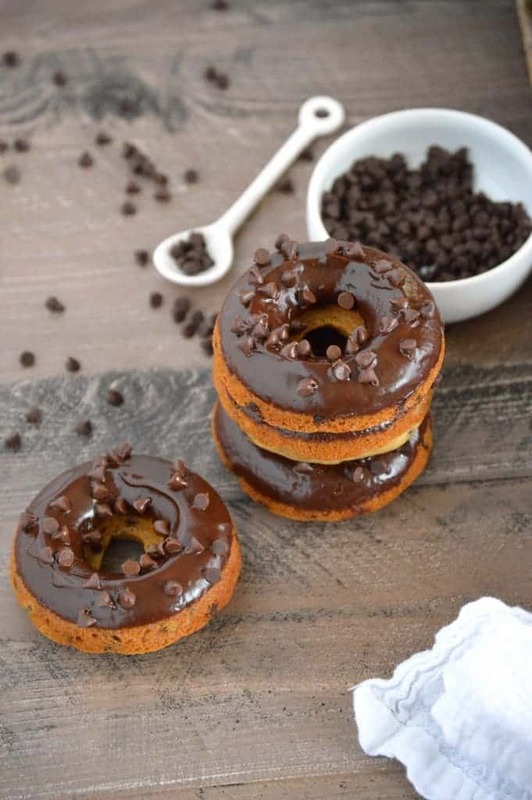 These gluten free chocolate chip donuts as written aren’t completely dairy free because of the milk but you could replace it with your favorite non-dairy milk to make them dairy free. And use dairy free chocolate chips . I almost never buy buttermilk because I just add a bit of vinegar to milk (regular or dairy free) instead. It’s cheaper and more convenient because those are two products I always have on hand. 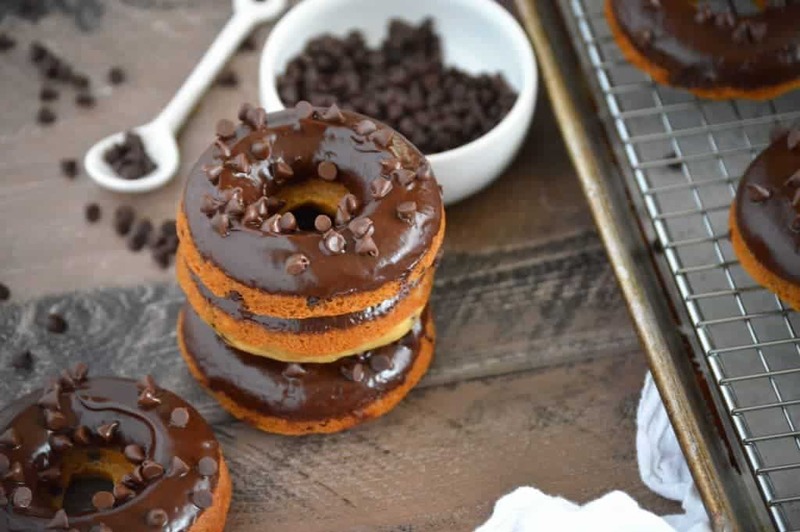 Either way you make them, these gluten free chocolate chip donuts are completely delicious. Enjoy! 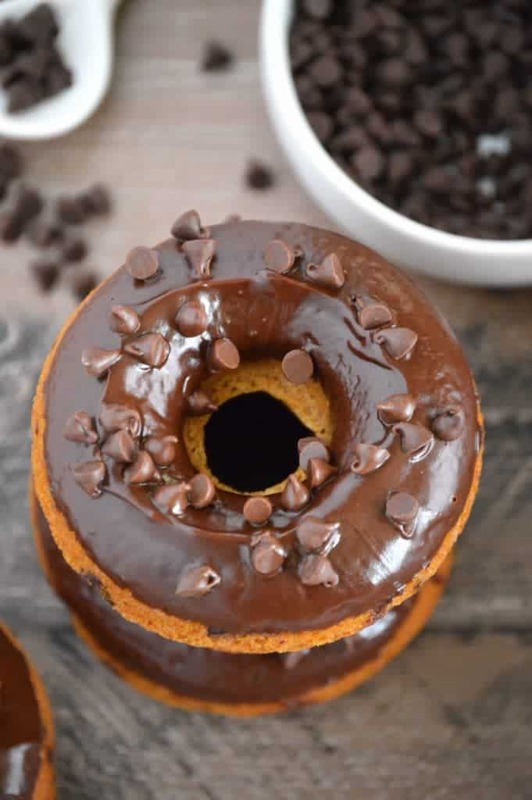 You can also get the full gluten free chocolate chip donut recipe over on Food Fanatic. Great chocolatey treat Sharon and hard to believe it is gluten free! Score! 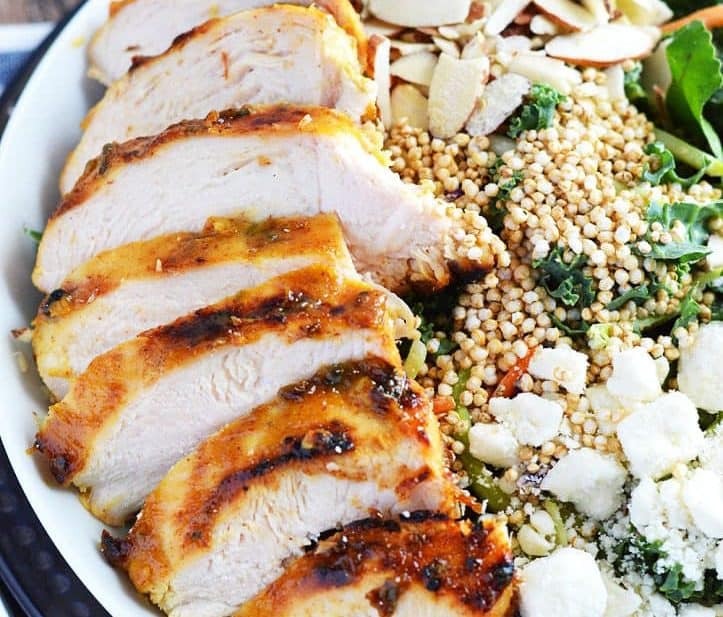 Drooling has ensued! Gimme gimme! !